Ok, I have a bone to pick with Great Lakes. I formerly considered them one of the better student loan servicers out there. Not any more. On their website they offer free help and tell people not to pay a fee for student loan help that is free. It’s spelled out in a big bright banner. Well that sounds great, if they’d actually help. Case in point. A couple in their early 60s came to see me last week. They were paying $1,400 for Parent Plus loans the wife took out to help her daughter who has been unable to find a job. They can barely afford the $1,400 and won’t be able to afford it much longer. The wife helps out in the husband’s business and does not earn a paycheck. The husband draws Social Security and owns a small business. They didn’t know how much they owed, so they called Great Lakes while in my office and found out it was $72,000. But despite being able to easily reach their student loan servicer, they were not given any advice as to how to lower their payments. NADA, ZILCH. I knew immediately exactly how to help them lower their payment to zero. It took me 15 minutes of listening and asking questions. I told them how I can drop their payment in 1-2 months. And we can even get a forbearance for the two months if needed. For this particular case, we will consolidate their Parent Plus loans to Direct Loans and apply for the Income Contingent Repayment (ICR) plan right AFTER they file their tax return in Oct (they had obtained an extension already) as married filing separately. And presto, zero payment. That’s right ZERO. Did Great Lakes tell them any of this? NO. And if they need to file jointly for some reason after speaking with their accountant, I can still lower their payment to $858 from $1,400. The daughter does not owe this money, neither does the husband. The debt will die with the wife. Now that the client has some spare funds, I’ve suggested they try to save some for retirement – that is right around the corner for them. And all these clients need to do is send me a copy of their tax return after they file it. I do the rest. Great Lakes and other student loan servicers are not in the business of telling you what is in your best interest. Remember who they represent. They represent the creditor. Not you. 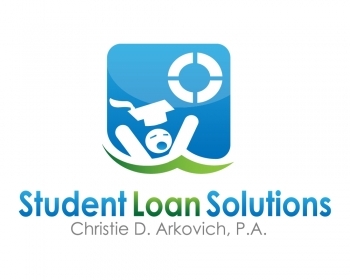 If you hire a student loan attorney, we represent you. We have a fiduciary duty to you and only you. And I’m guessing we know a lot more than a $10 a hour employee who works for the student loan company in whatever country they are calling from. For more information please contact us at Christie D. Arkovich, P.A. Feel free to check out our prior blog posts, our Student Loan Survival Center and our client reviews here.